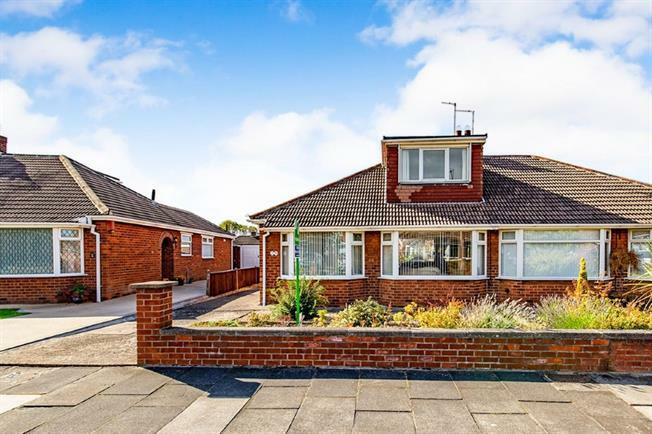 3 Bedroom Semi Detached Bungalow For Sale in Middlesbrough for Offers in the region of £180,000. A rare opportunity to own a large bungalow in one of Middlesbrough's most popular residential areas. This well loved home boasts generous and tasteful accommodation throughout and is situated in the desirable Brookfield location. The ground floor boasts spacious living with a very large reception room featuring a brick wall fireplace and a warm and welcoming kitchen/dining/family area. This floor boasts the first of the three double bedrooms on offer and the beautiful family bathroom suite. The first floor houses two double bedrooms which are beautifully presented and maintained in keeping with the rest of the home. Externally this property has a wonderful and private rear garden and excellent off street parking facilities with a large driveway and detached garage.